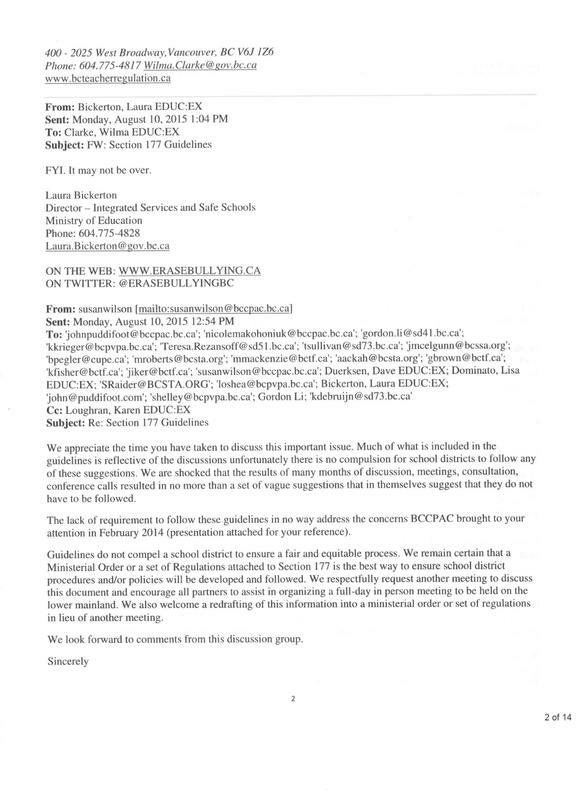 BC Parents Advisory Council (BCCPAC) was extremely concerned & was raising issue with BC Section 177 legislative law up until 2015. In approximately 2015, a ex school superintendent by the name of John Gaiptman somehow took over BCCPAC as spokesmen & everything went quiet regarding this corrupt Sec.177 legislative law being used on under-aged school children & some parents by "school principals & superintendents" ! Besides being a total conflict of interest, the BC Government who made corrupt Sec.177 legislative law are paying ex school superintendent John Gaiptman's wage at BCCPAC ! Shocking !